I can’t go back to when I was first hooked into reading. Age 5? So I’m going to present a book that hooked me into reading IT the minute that I saw the cover. I saw it. I bought it. I love it. Simon Garfield’s On the Map. 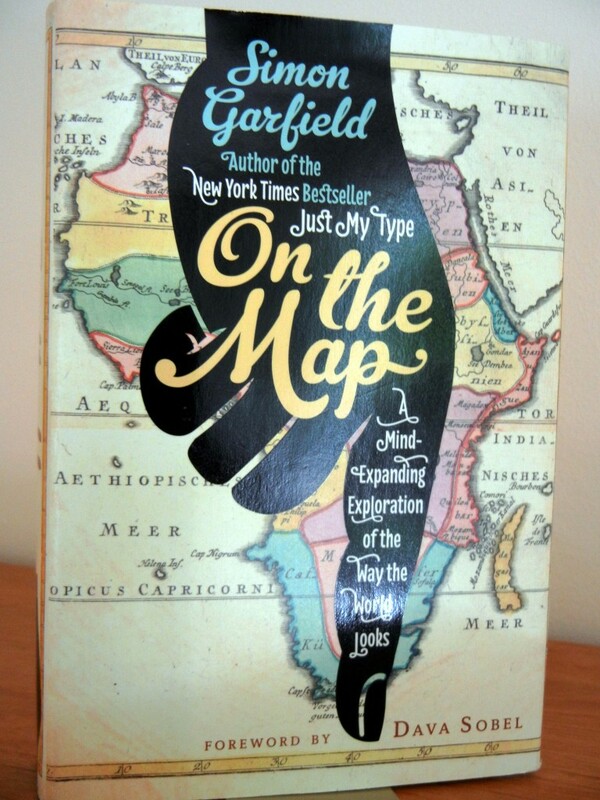 Garfield’s historical anecdotes about maps, map-making and map-makers are littered with ‘Holy Cow!” moments. This is a book that is not only entertaining, but illuminating, with chapter titles that include ‘The Mystery of Vinland’, ‘Cholera and the Map that Stopped It’ and ‘How to Make a Very Big Globe’. I only wish the maps included here were fold-outs about five times larger and in color. Garfield’s introductory chapter, ‘The Map that Wrote Itself’, includes the image below in black and white, but I’m giving you the color version, which is gorgeous. It was produced by an intern at Facebook in 2010 using the FB connections between people worldwide. In 2010 an intern at Facebook used the FB connections between people to create this world map. This entry was posted in Books, Review and tagged Facebook, Maps, Simon Garfield. Bookmark the permalink.